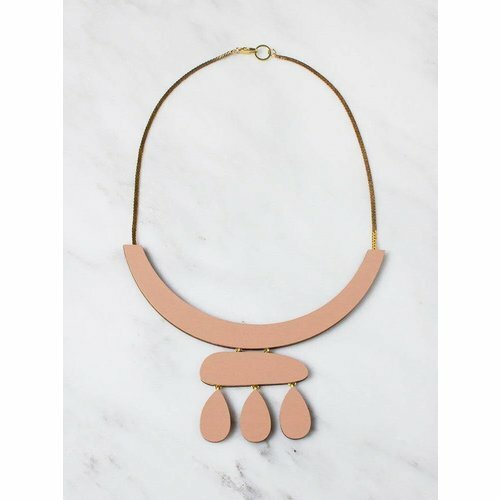 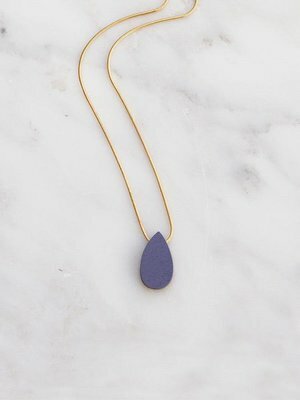 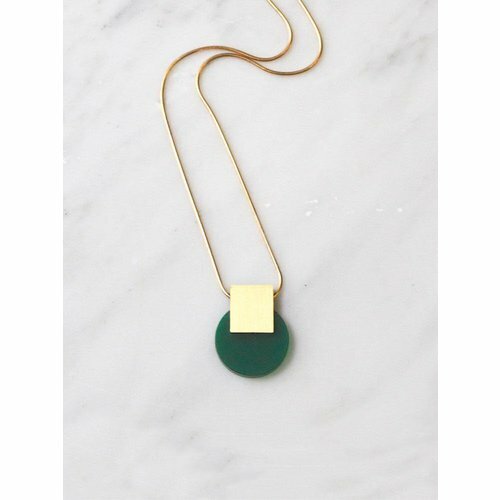 Crescent-shaped pendant necklace in handpainted wood with brass detail, available in two complementary colourways. 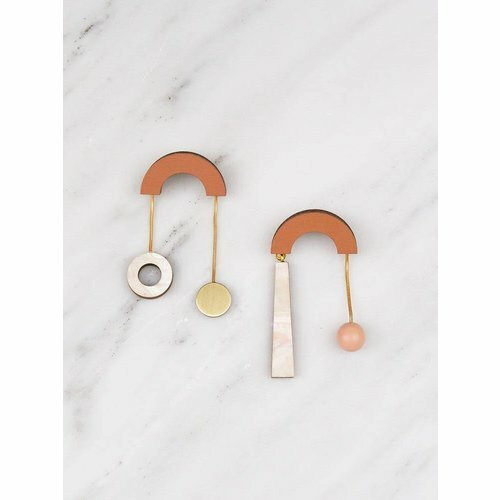 Collection No. 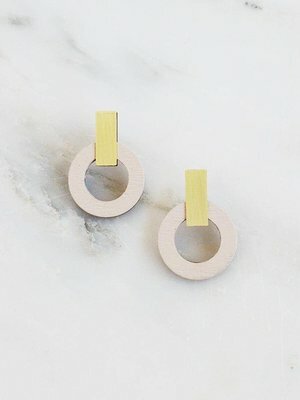 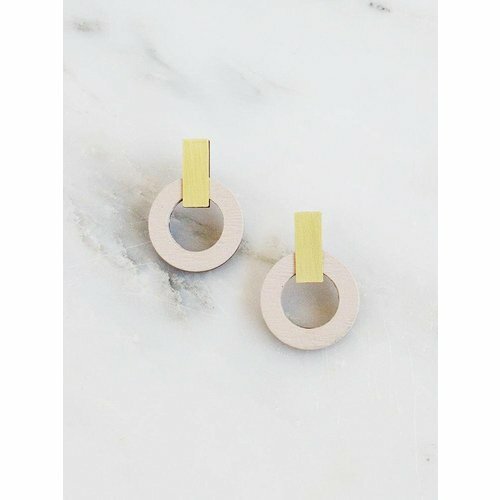 6 uses architectural forms and geometric shapes in brushed brass and painted wood to be both sophisticated and playful - perfect for daytime and evening wear. 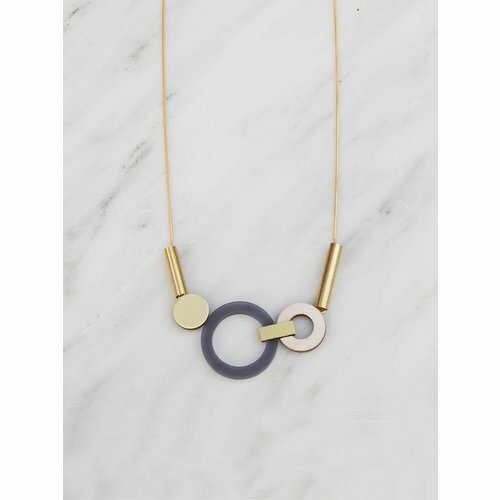 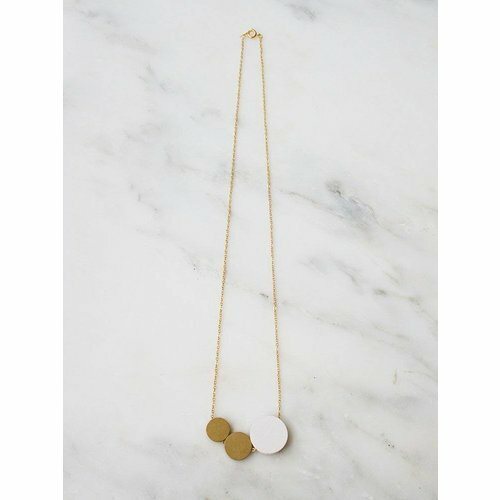 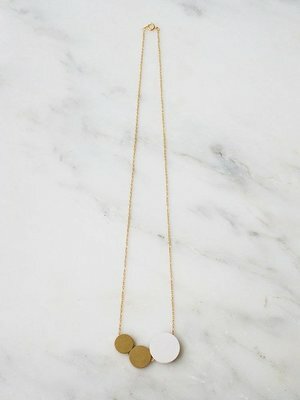 This geometric necklace consists of painted wood and brass circular discs, in varying sizes, threaded on a gold plated chain. 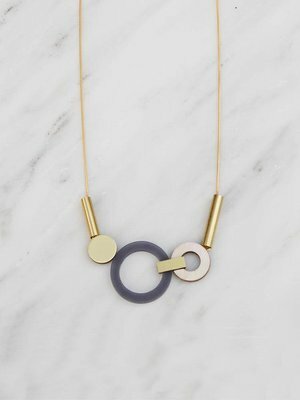 From Wolf & Moon, Collection No.9 combines unexpected materials with simple forms and movement. 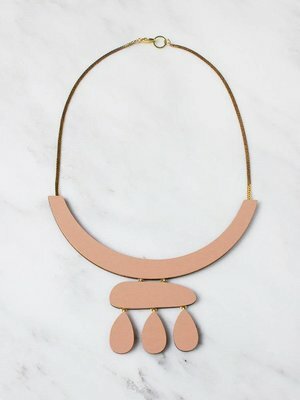 Designed for the modern woman, it is playful and bold with eye-catching statement pieces and elevated essentials. 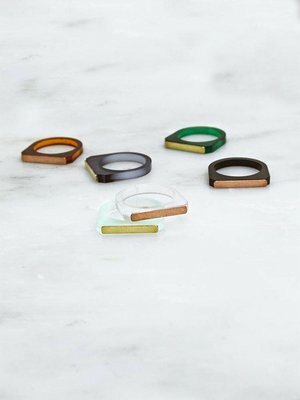 With a coloured acrylic base and brass or copper detailing, the Contrast ring from Wolf & Moon is a versatile and timeless ring looks great with more than one stacked up to show off your own personal style. 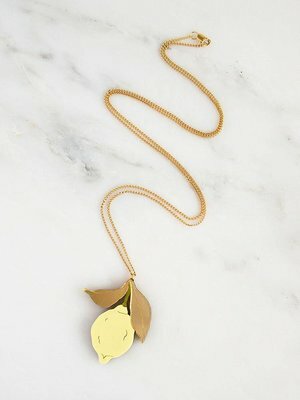 Handmade necklace with an acrylic lemon and gold mirror leaves. 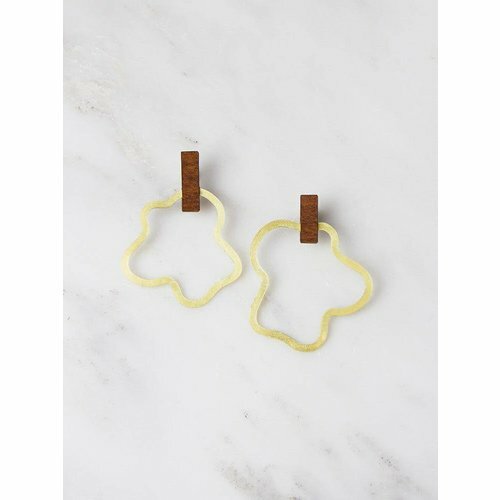 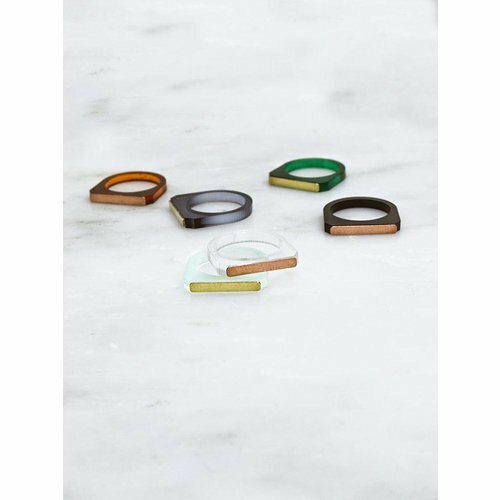 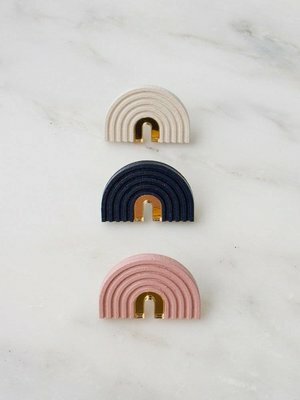 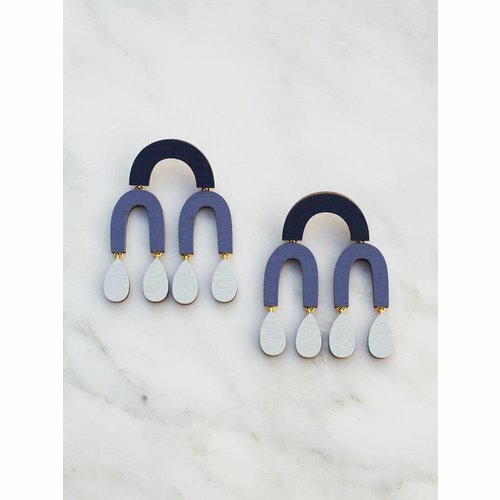 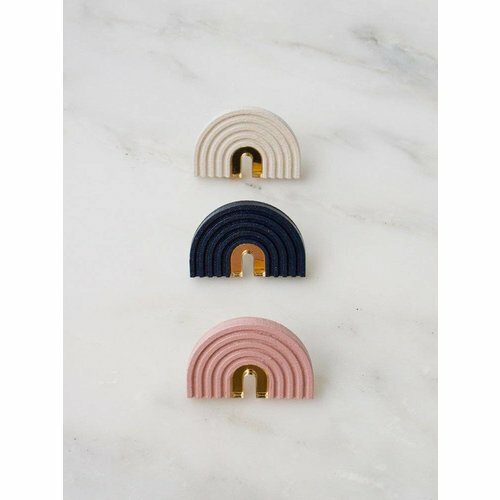 A beautifully minimal statement ring consisting of a single painted wood arch. 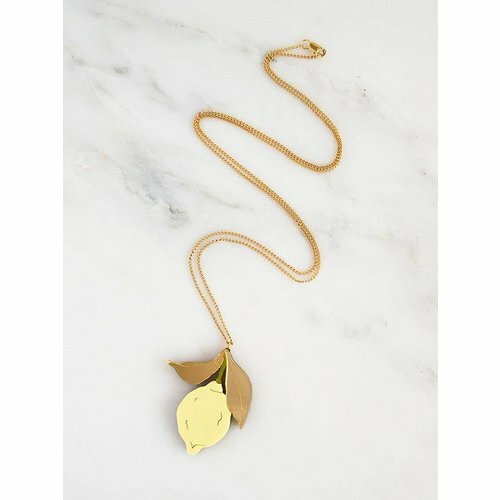 This piece is detailed with inlaid ridge texture, gold acrylic and adjustable gold plated ring back. 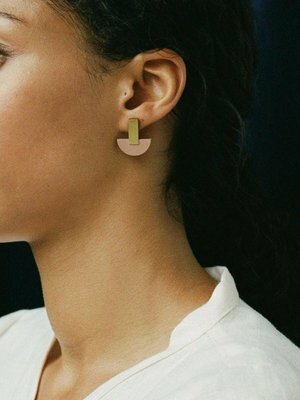 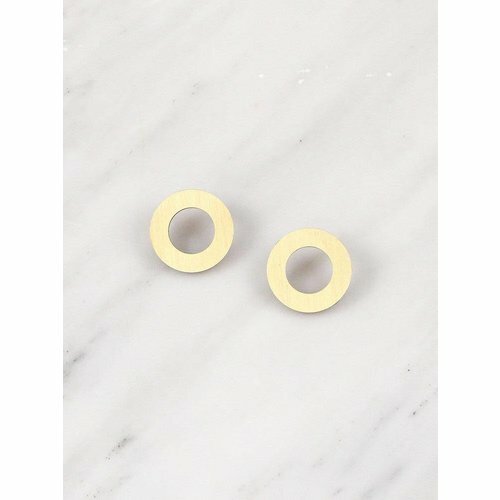 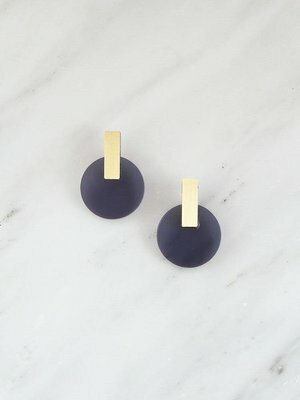 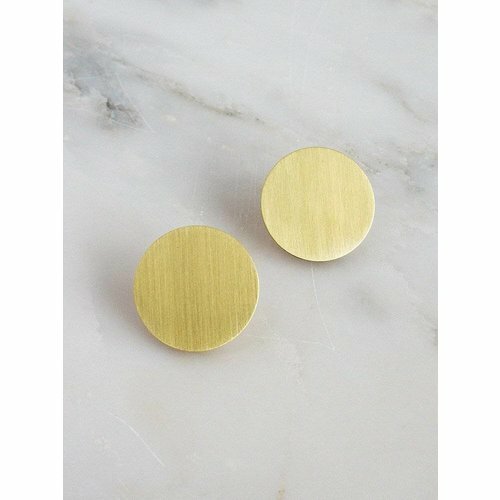 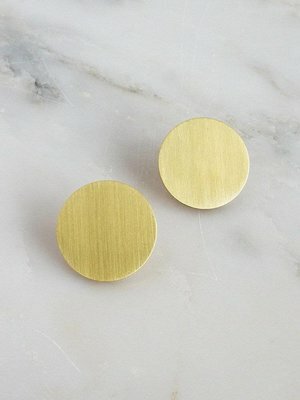 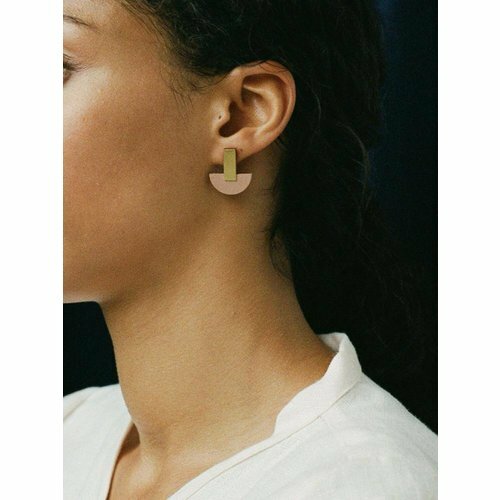 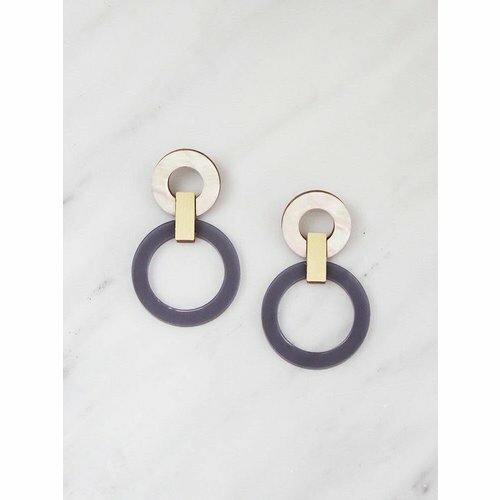 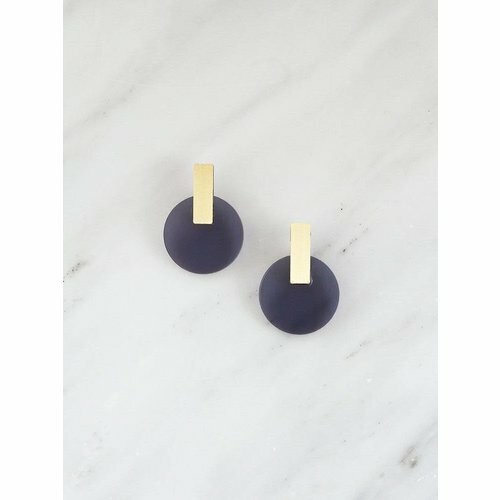 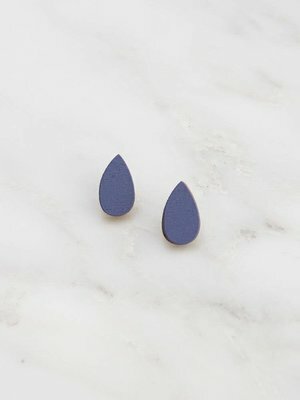 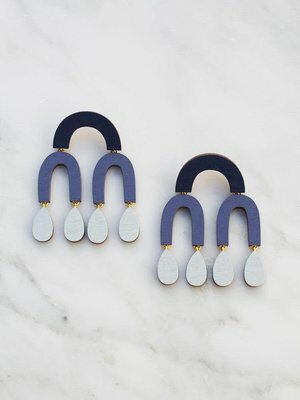 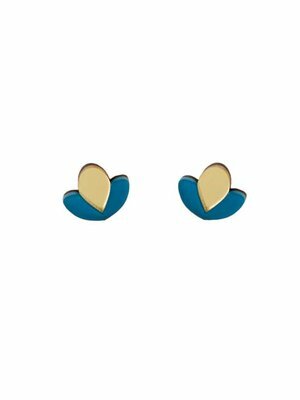 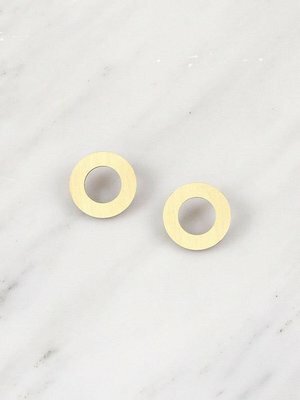 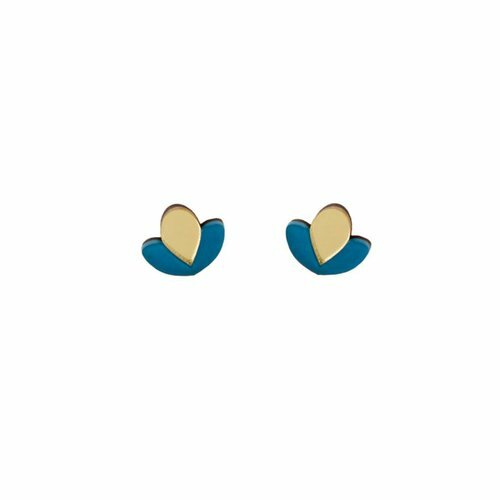 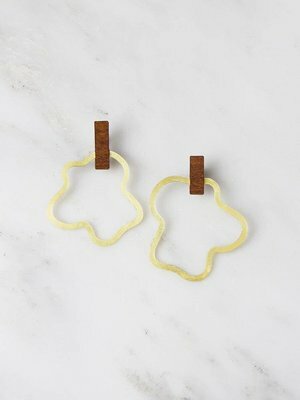 A sophisticated pair of earrings made with a handpainted wooden disc and brass detail, available in two complementary colourways. 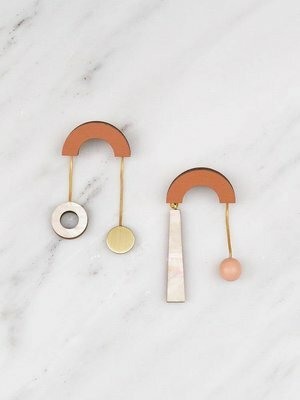 From Wolf & Moon's Collection No.9 combines unexpected materials with simple forms and movement. 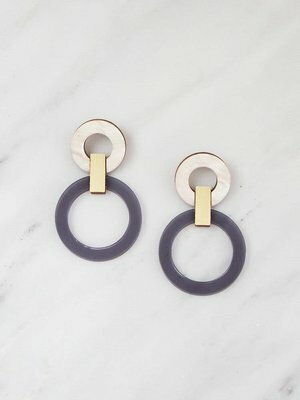 Designed for the modern woman, it is playful and bold with eye-catching statement pieces and elevated essentials. 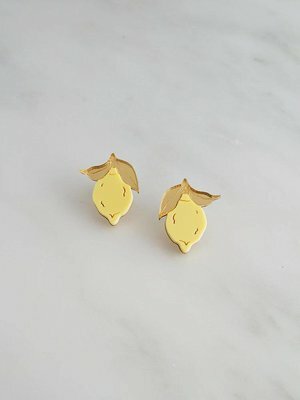 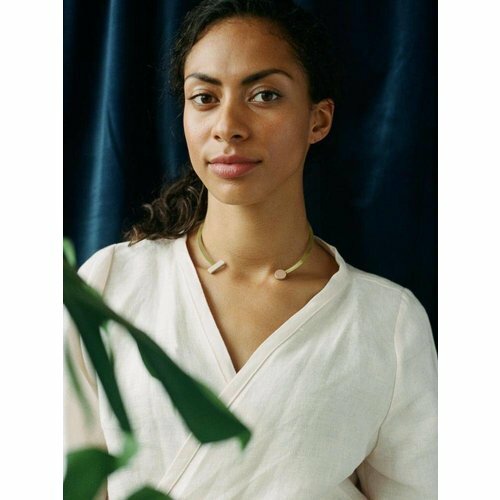 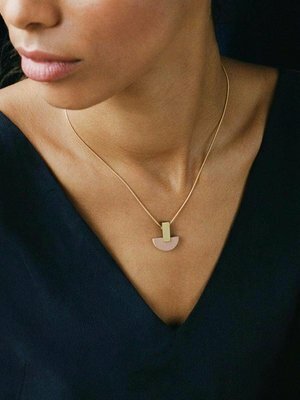 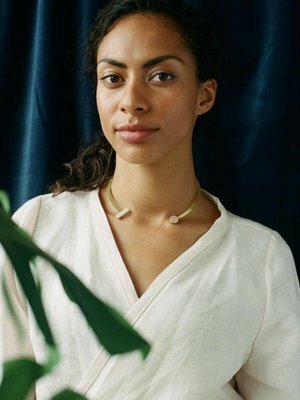 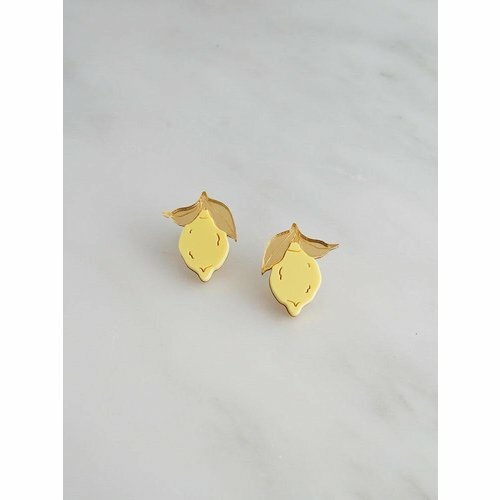 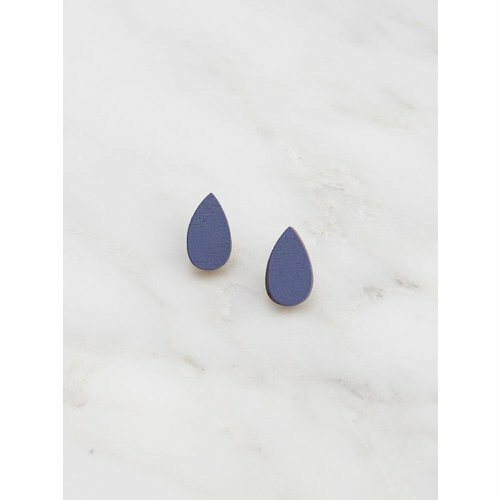 Wolf & Moon is a handcrafted jewellery label by British designer Hannah Davis. 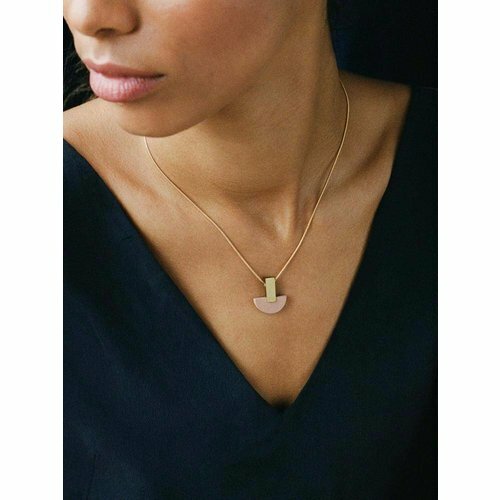 A striking balance of colours, textures and geometric forms work together to create elegant and wearable pieces. 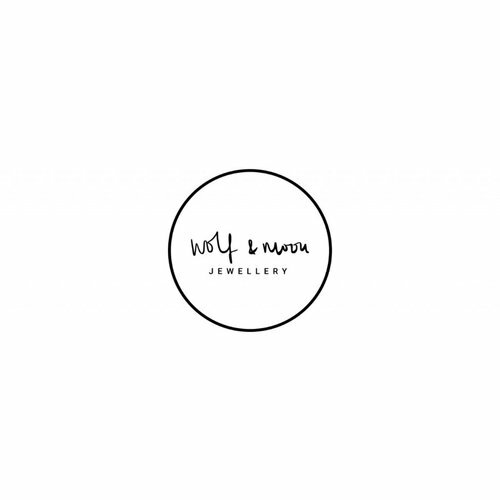 All jewellery is handmade in our East London studio by a small team of makers.